Are you excited for a chance to win the Jasper Sweater pattern from Paprika Patterns? Be sure to link up your Fabulous Fall creation for your chance to win. I love the Jasper Sweater pattern. I’m a sucker for a cowl neck, the hoody version has an interesting asymmetry at the neckline, princess seams are for everybody, and welt pockets make you look like a sewing super star. Now, I rarely make a pattern twice and this is my third Jasper, so you know I’m a true fan. 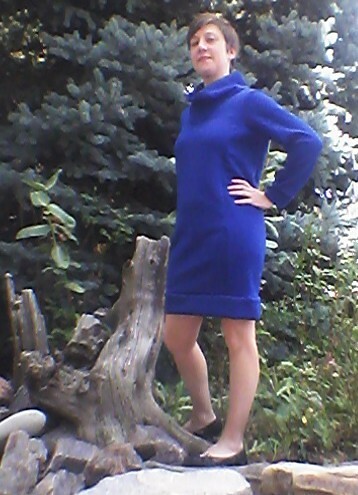 For my dress version, I picked up this quilted knit jacquard in a royal blue from Fabric Mart. 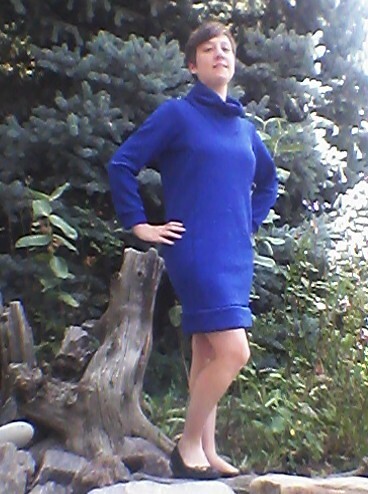 The fabric did not have as much body as I was hoping for in my fall/winter dress, so my solution was to underline the bodice with an interlock knit from my stash. The jacquard doesn’t hold a press, so I omitted the welt pockets. The underlining worked perfectly to give me the warmth I was wanting. 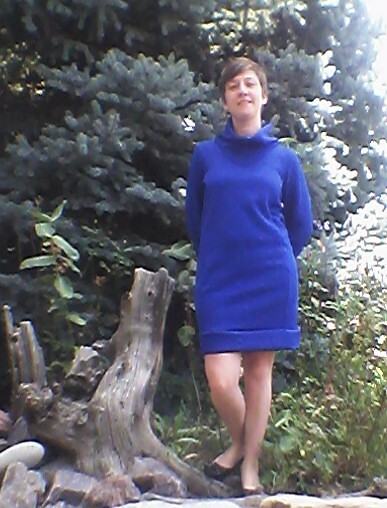 This Jasper dress is going to work nicely for fall’s cool days and easily worn through the winter with tights or leggings. That’s a really cute dress! 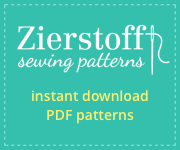 I just got the pattern in the indie sewing package and I’m really looking forward to trying it out. I’ve had my eye on it since it came out 🙂 I love that blue. Looks very cute and cozy!